It’s always great to see the level of work that students around the world produce. This packaging concept by Alex Silitra from the Miami Ad School Europe is exceptional. From the quality of illustration through to the consideration of colour and understanding of design principles, this is really impressive. We do suggest you spend the time looking at Silitra’s portfolio above, because it has some amazing thinking and craft on display. This entry was posted in Design and tagged Beer, Packaging, Student Work on October 30, 2015 by stellenboschacademy. It’s not often that a brand can transcend its category and become a national symbol for an entire country. In a way, that is what Havaianas has done – lifting the humble flip flop from a cheap beach shoe into something an entire country can rally around as a source of national pride. This is partly due to Havaianas as a product, but also very strongly influenced by the power of their branding. Everyone recognises the colour and energy that comes with Havaianas advertising and these two print executions by AlmapBBDO Sao Paulo are no exception. They’re bright, they’re colourful, they’re Havaianas and most of all – they’re Brazilian. This entry was posted in Illustration and tagged Havaianas, Illustration, print on October 28, 2015 by stellenboschacademy. Three of our students have recently been accepted into the International Society of Typographic Designers. Casper Schutte, Amy Staak and Adri Le Roux have passed stringent testing and we are so proud of their work. In order to be accepted, students must achieve 70% or higher during an international assessment where every detail of a project is rigorously tested and evaluated. They are assessed on the following core elements: Typographic Interpretation and Skills, Research and Development, Specification (Typographic and Production specifications), Written strategy and rationale and finally Presentation. This is no mean feat! To learn more about the ISTD, have a look at their website here. Casper, Amy and Adri – congratulations! This is an incredible achievement! This entry was posted in Academy Work and tagged International Society of Typographic Designers, ISTD, Student Work on October 26, 2015 by stellenboschacademy. Apple have always used creativity so well to sell their products and this latest campaign by TBWA/Media Arts Lab, Los Angeles is a great example of this. They used real photos that people have taken on their iPhones to show without a shadow of a doubt just how good the camera is. This is also a great way to engage your current user base and get them excited – imagine having your image used for one of these ads! And honestly… who wouldn’t want a phone that could take such beautiful photographs? This entry was posted in Art Direction, Photography and tagged Apple, iPhone, photography on October 26, 2015 by stellenboschacademy. Amos is a sweet company from Hong Kong and their new packaging for their Halloween range by Italian design firm, Solid Studio, is just too much fun not to share. We love the playful illustration as well as the expressive characters they built for the type of the logo. How could you resist picking up some of these if you saw them on a shelf? This entry was posted in Packaging and tagged Amos, Halloween, Packaging on October 23, 2015 by stellenboschacademy. The time has come once again for our end of year exhibition where our students showcase the amazing work they have done throughout the year. A study of Image, Line and Form by the graduating class of 2015. This entry was posted in Academy Work and tagged Academy Work, Exhibition, Gradex on October 21, 2015 by stellenboschacademy. We love this campaign by Impact BBDO Kuwait for Honda. If you’ve ever had to take directions from someone (and who hasn’t?) you understand the confusion of trying to understand just where you are meant to turn left or right. This clever print campaign brings that to life by showing just how confusing those kinds of directions can be, with the line: Honda – Voice Guidance At Every Turn. 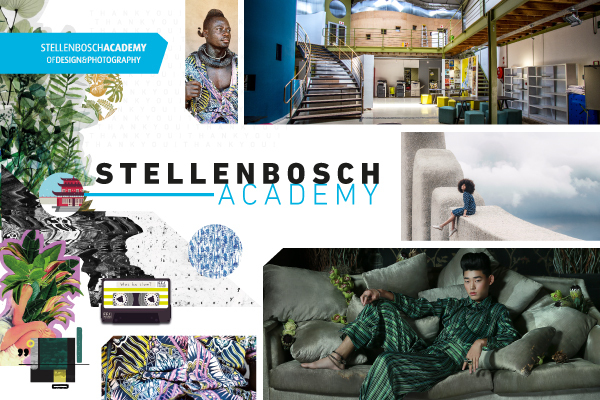 This entry was posted in Art Direction and tagged Art Direction, Honda, print on October 21, 2015 by stellenboschacademy.